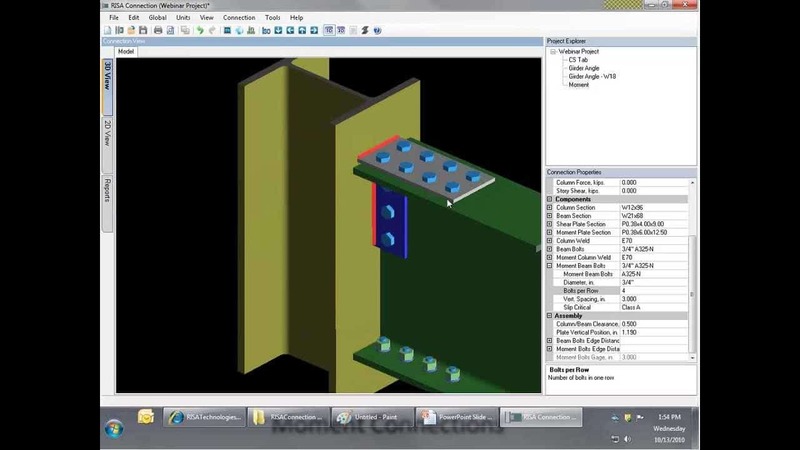 RISA Connection Provides A Comprehensive Design steel connection with the Aid of A 3D model. RISA Connection aids in your Calculations, Giving you full control of the connection type and Components and the Speed ​​to change the connection with A Flip of the Switch.RISA Connection Takes the complexity out of calculations by listing explicitly the calculations and the code check values. Review your results in an Easy-to-Read Report or inspect the connection in Shop A 2D drawing-style drawing.